The spirit of Belfast has held an undeniable influence over the landscape of modern music for decades. This city is no wallflower – it sings out loud, and encourages you to join in. Arguably the biggest star to emerge from Belfast is Van Morrison, having played street corners and cinemas across the city before his big break with Brown Eyed Girl. Ever since then, “Van the Man” has rocked the world with his unique brand of Celtic rock, jazz and blues. It's all happening in Belfast. It's up there with London, Manchester, Liverpool – it may not be as big a city, but in terms of the cultural vibrancy of the place, it certainly is. And it doesn't stop there. Belfast's enduring musical pedigree has spawned some of the world’s biggest acts, including Stiff Little Fingers. Yes, the energetic punk bank who have been touring since the 1970s, and are counted by punk legends Green Day as a major influence on their unique style. More contemporary acts are taking the charts by storm every year, too. Founded in Northern Ireland, Two Door Cinema Club and Snow Patrol are making waves around the globe, changing up the indie, electronica and rock ‘n roll scenes. And exciting artists are emerging all the time, including EDM favourites Bicep who headline the annual AVA festival in Belfast and the indie-folk stylings of Jealous of the Birds and Ciaran Lavery. But it’s not all about chart toppers – Belfast’s musical roots run deep, with a history of outstanding traditional music and unique native instruments. Pipe bands make a rousing accompaniment for fiddles and flutes at any session – trad music isn’t just alive here, it thrives! Wander the city and peer through the doors of any pub, and you’re almost certain to find a pumping trad session to get you dancing – instruments appear from nowhere, and a band could strike up at any moment. Or make your way to Cultúrlann, a hub for the arts and Irish language in West Belfast – trad and contemporary music blend with poetry readings and céilís to create a tableau of Belfast’s rich cultural tapestry. If you want to get a taste of Belfast’s musical legacy first hand, then you really must make your way to one of the most renowned music venues in the city. The Oh Yeah Music Centre celebrates the city’s past with music exhibitions and talks from lyrical legends while encouraging new acts, such as breakthrough star SOAK, to take to the stage for the first time. Sign yourself up for the Belfast Music Exhibition and Tour, and see the city’s most iconic spots, from Van Morrison’s childhood home to the old Wizard Studios, where the legendary song Teenage Kicks was recorded. Belfast is one of our great natural resources. France might have cuisine and Italy makes great cars, we design great music. But Oh Yeah is just the tip of the iceberg, because when it comes to Belfast, you can take your pick from a seriously brilliant bunch of venues: the SSE Arena features huge international acts, Limelight brings live music to life every week, Mandela Hall celebrates comedy, theatre and eccentric charm on stage and the iconic Ulster Hall, where Led Zeppelin played Stairway to Heaven for the first time, continues to rock out to everything from grand classical performance to poppy tunes. So what are you waiting for? Whether you’re a rocker, a groover, a reggae head or a raver, Belfast has a ready-made music scene to get you moving to your very own beat. Take the ultimate break in this city that sparkles. 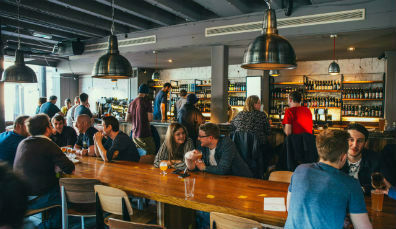 Try these 10 brilliant Belfast watering holes. Explore a city of culture, fine food and show-stopping sights. Head Chef at Stix & Stones tells us 5 of the best places to eat in Belfast, including Michelin stars and French patisseries. Amp up your energy levels because Belfast packs it in when it comes to sightseeing. Here are ten to try! There's no better way to take a break from that Belfast buzz than to enjoy one of these serene walks around the city. 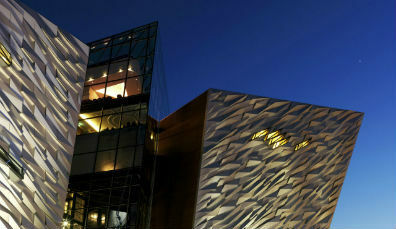 Great restaurants, traditional pubs and a phenomenal Titanic history make Belfast a city to savour. Belfast's watering holes are iconic – these are the 10 you simply can't afford to miss. A round-up of all the reasons why Lonely Planet picked Belfast and the Causeway Coast for Best in Travel 2018. The concierge team at Belfast's esteemed Merchant Hotel's guide to Belfast. 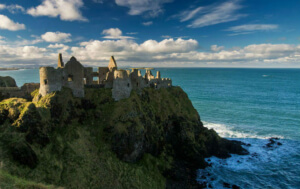 10-Day Unwind in Ireland Tour. Relax on the Emerald Isle. See Cork City, The Burren, Connemara & more. From $898 pp. Save on top attractions with free Discount Book. Includes automatic rental car & 4 star accomm. 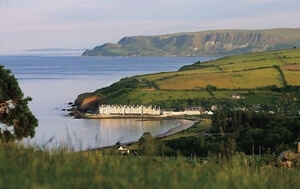 5-Day Taste of Ireland, Great Value $929 pp. This fast-paced jaunt is great for first-timers. See Ireland's top highlights: the Ring of Kerry, Blarney Castle and the Cliffs of Moher. $49.95 per person including entertainment, 4 course meal & house wine. 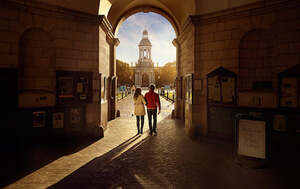 Spirit of Ireland Self Drive 6-Night Tour from $798. Includes 4-star accommodations, cultural experiences, car, breakfast and more. Save up to 35% thru April. From $1,379 per person sharing. 9-Night Irish Countryside Self-Drive from $1,599. Includes round-trip flights, accommodations, car rental, and daily breakfast. 11-Night Escorted Full Circle. Includes Giants Causeway, Dublin and Cliffs of Moher. 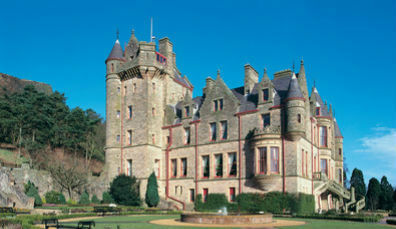 Tailor-made luxury Ireland. Personal chauffeur-guide, private experiences, luxury hotels and castles. Includes Airfare, Hotels, Car Rental, Breakfast & All Taxes. Prices are per person; based on double occupancy. Vacation ideas, news, offers… sign up for our newsletter and we’ll keep you in touch with Ireland. 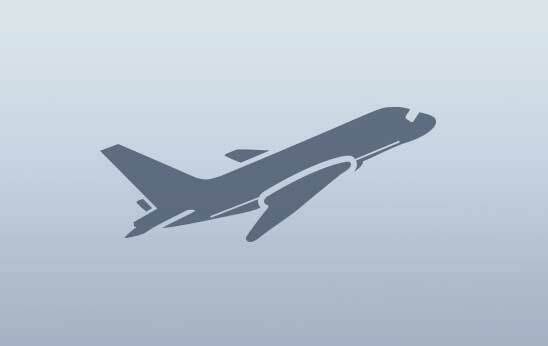 I would like to receive information and special offers by email from carefully selected travel partners. 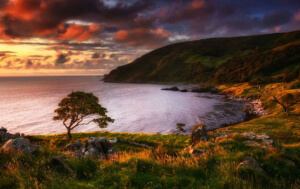 10-Day Unwind in Ireland Tour. Relax on the Emerald Isle. See Cork City, The Burren, Connemara & more. From $898 pp. Save on top attractions with free Discount Book. Includes automatic rental car & 4 star accomm.